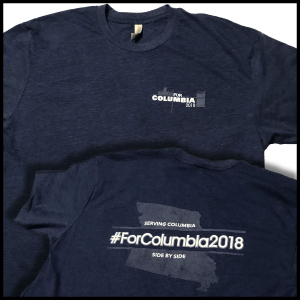 One of the ways ForColumbia strives to love and serve our neighbors is by serving those non-profit organizations who are actively seeking the good of the more marginalized in our city. The Wardrobe is one of these organizations in Columbia. This small resale store is located in the downtown area, and is run entirely by volunteers. It not only seeks to make donated clothing and other items available at a low cost to the community, but uses most of its proceeds to provide shoes to school-age children in Boone County. An important resource to the low-income in our city, we think your day will be well spent serving at The Wardrobe. Yes, we encourage families to bring older children who can assist in the listed projects, but we ask that children not be allowed to paint.